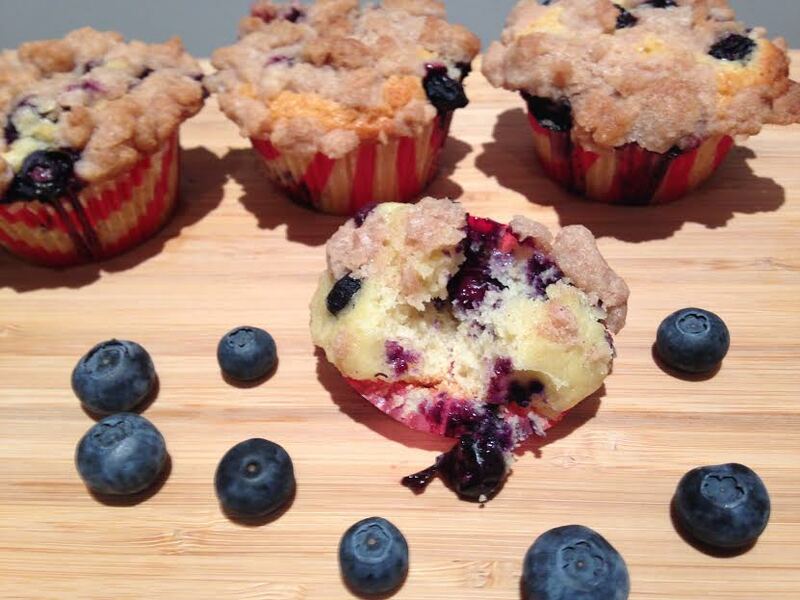 Who doesn’t like blueberry muffins with a crumb topping? Well, if you don’t, that means there is more for me!!! I enjoy baking, especially when I feel frustrated or tense. Baking makes me concentrate on the recipe ingredients rather than on something else, therefore, makes me feel more relaxed and better. Besides, how can I remain frustrated when my kitchen smells like sweet heaven? This recipe makes enough for 16 muffins, enough for the morning and enough to freeze for later. Okay, who am I kidding? You know I will have to try one, fresh and warm from the oven! And yes, I did enjoy! Preheat oven to 400 F degrees and line standard muffin pan with paper liners and set aside. To make the muffins. In a large bowl stir together flour, baking powder and salt and set aside. In a small bowl sprinkle 1 cup blueberries with 2 tablespoons flour and toss them until all blueberries are coated with thin layer of flour and then fold them really gently in the batter. Spoon batter into prepared muffin tins, filling about ⅔ of each cup. Cover the batter with the remaining blueberries and then cover the blueberries generously with streusel topping. Can’t wait to taste these bites of deliciousness…. I love sharing with you!